Investors determine the best CDs to invest in with multiple components in mind. Investors who carefully choose certificates of deposit to invest in profit. As an investor yourself, you must consider the different types of CDs in order to make a profit. Popular CD accounts include traditional, bump-up, liquid, zero-coupon, callable, brokered, and high-yield. Read on to discover how to choose the best CDs to invest in. To begin choosing the best CDs to invest in, calculate how much money you want to invest. Certain certificate of deposit accounts adhere to specific investment amounts. This is a tough way to invest $10. However, with a much larger deposit of $1,000 or $10,000 investment, you could earn some significant interest. Since appropriate amounts vary per CD, you must determine how much you want to invest prior to selecting a CD. Read through your bank statements to get a better idea of where you are financially. Take a look at your calendar to include any upcoming trips or costly payments in your decision. To choose the best CDs to invest in, you must first decide how much you want to invest. The next step toward selecting the best CDs to invest in involves your potential withdrawal date. Determine when you are most likely to withdrawal your money. Some certificates of deposit charge for early withdrawals. This could be harmful in multiple cases. For example, imagine you make a CD investment and plan to use the money for emergencies. In an emergency, you are forced to withdrawal from the CD early. Due to the CD you chose, you have to pay a hefty fee for retracting the money before it matured. You could potentially lose more money than you invested. Successful investors have a backup plan so they don’t have to pay additional fees. If you plan on withdrawing in a short period of time, consider no-penalty CDs. Determine when you will withdrawal to choose the best CDs to invest in. Also, consider each CD’s compound frequency to appropriately pick the best ones to invest in. Particularly look at CDs that compound often. Certificates of deposit that compound on a daily basis are more beneficial than those that compound monthly. As an investor, you should understand how compounding works. When a CD is compounded, interest is paid. The payment is based on both principal and collected interest. Analyze how frequently CDs compound in order to choose the best CDs to invest in. Additionally, track expected rate hikes to determine the best CDs to invest in. Research the market on a daily basis. Keep track of reliable predictions. Acknowledge when the Fed raised rates in the past and how far apart raises occurred. To get the best rate, purchase short-term CDs before rates rise. Then, cash them out when the rates do rise. If you were hoping to invest in a long-term CD, you can use the money from the short-term one to do so. Stay ahead of the rate hike game to effectively select the best CDs. Lastly, contemplate all certificate of deposit investing strategies. You can base your decision solely on the above information. Investors also use the above information along with other strategies to choose the best CDs to invest in. One strategy includes investing in numerous CDs with the overseas market. Those CDs typically have different maturity rates. This strategy opens more doors for investors like yourself. You can have a no-penalty account for emergencies and accumulate more money in a long-term account at the same time. 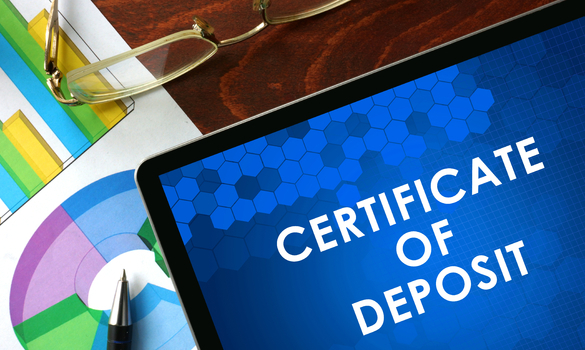 This could benefit your certificate of deposit decision. You may not find all you want in one CD, but you may find it in two different ones. Consider a variety of techniques to choose the best CDs to invest in. Keep various features in mind when selecting the best CDs to invest in. Firstly, decide how much you want to invest in a certificate of deposit. Secondly, determine when you will withdrawal to refrain from paying early-withdrawal fees. Evaluate each CD’s compound frequency. Stay up-to-date with expected rate hikes to appropriately plan when to invest. Finally, consider different strategies. You now know how to determine the best CDs to invest in.